Details: Gable front and two side bump-out gables with decorated fascia board and multi-part dentil cornice separating the fish scale gable end from the wood siding wall with corner boards, full front porch with shed rood, decorated fascia board with dentils, turned columns with fretwork brackets, polychromatic paint scheme. Historic Features: Gable front and two side bump-out gables with decorated fascia board and multi-part dentil cornice separating the fish scale gable end from the wood siding wall with corner boards, full front porch with shed rood, decorated fascia board with dentils, turned columns with fretwork brackets, polychromatic paint scheme. Alterations: Large back addition, retrofit storms. Original Owner: B.L. Langille, a builder, is identified as residing at 935 Ridge Court in the 1893 Evanston Directory. Historic Info: B.L. Langille is the first documented owner of 935 Ridge Ct. from the 1893 Evanston Directory; in the 1890-1891 Evanston Directory, B.L. 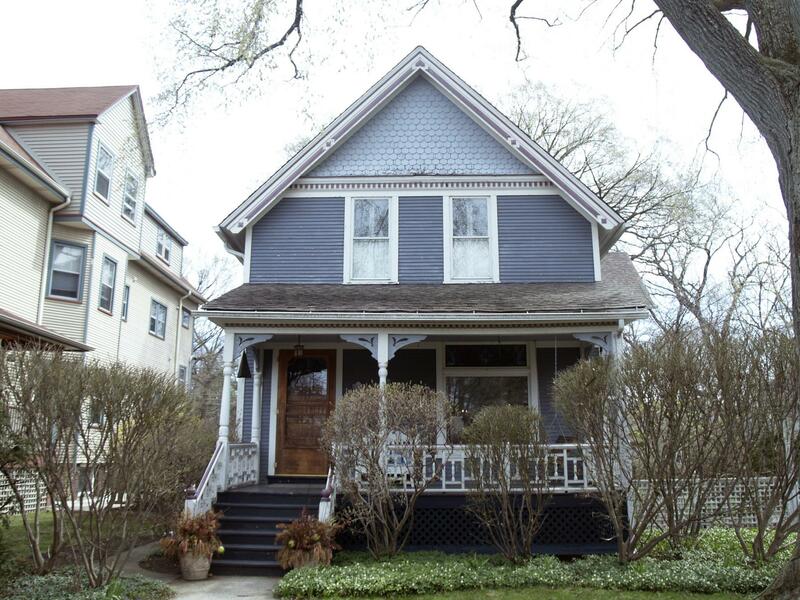 Langille is shown as residing at 317 Ridge Place; in the book "The Streets of Evanston", by Janet G. Messenger, it identifies that Ridge Place was renamed Ridge Court in 1893 (p. 48) and that the street numbering system was also changed (p.5), it is possible that the directory listing of 317 Ridge Place could be the same building as the current address of 935 Ridge Court, but additional research is needed to verify. 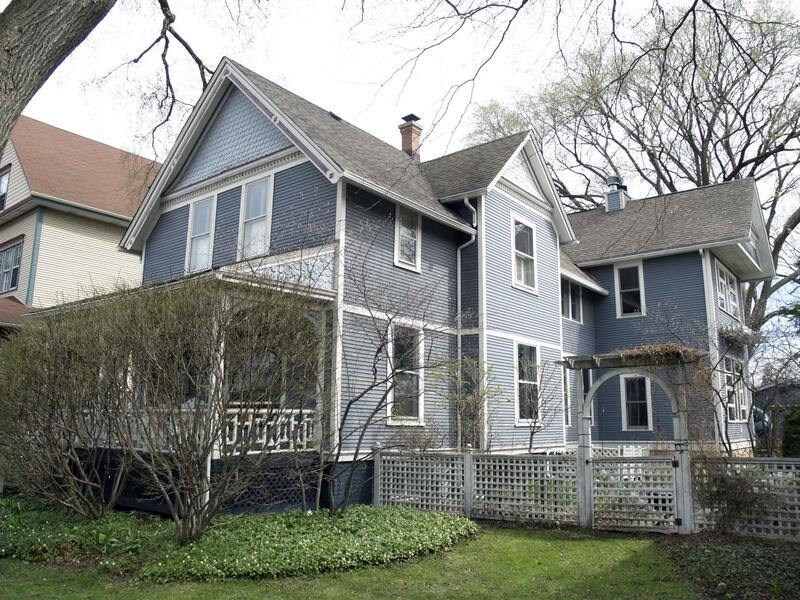 Other Sources: EPC, Preservation Review Report: approved a kitchen remodeling project and the construction of a rear deck as it was" not visible from the street", no case number or date is on the document, which is located at the Evanston History Center in the folder for 935 Ridge Court.